Today's featured contributor at Writers Read: David O. Stewart, author of American Emperor: Aaron Burr's Challenge to Jefferson's America. 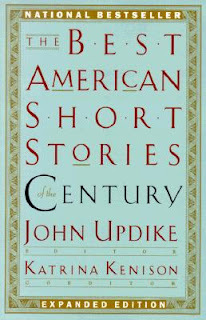 Reading great narrative histories helps get me through the fretful days surrounding the launch of my new book, American Emperor, and I have enjoyed several excellent books in this stretch. 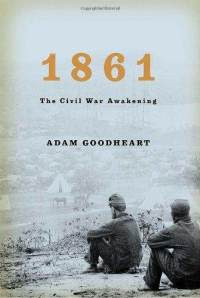 Adam Goodheart’s 1861 offers a terrific view of how a nation goes to war, assembling fascinating scraps of social history into a powerful mosaic. I’ve read a lot of Civil War history, but 1861 taught me a great deal I did not know. Stewart's books include the highly acclaimed The Summer of 1787, the bestselling account of the writing of the Constitution, and Impeached: The Trial of President Andrew Johnson and the Fight for Lincoln's Legacy. Helen Oyeyemi was born in Nigeria in 1984 and moved to London when she was four. She is the author of The Icarus Girl, The Opposite House, White is for Witching, which won a 2010 Somerset Maugham Award, and, most recently, Mr Fox. 'I always think if we ask for more what we have may be taken from us," Ann Eliza Bunner murmurs to her younger sister, Evelina. It's late-19th-century New York City and the Bunner sisters run a shop that does an uncertain trade in "artificial flowers, bands of scalloped flannel, wire hat-frames, and jars of home-made preserves." This is a story of the saddest magnificence. Evelina is the bolder sister—she accepts an unsuitable marriage proposal, moves away with her husband and no good comes of it. Ann Eliza stays alone in New York and struggles to maintain a fineness of spirit: "She saw the form of Solitude at her door. Ann Eliza was but a small person to harbour so great a guest, and a trembling sense of insufficiency possessed her. She had no high musings to offer to the new companion of her hearth." Ann Eliza is the braver sister; ultimately she has courage enough for both herself and Evelina. Pg. 99: Lisa A. Keister's "Faith and Money"
Today's feature at the Page 99 Test: Faith and Money: How Religion Contributes to Wealth and Poverty by Lisa A. Keister. For those who own it, wealth can have extraordinary advantages. High levels of wealth can enhance educational attainment, create occupational opportunities, generate social influence, and provide a buffer against financial emergencies. Even a small amount of savings can improve security, mitigate the effects of job loss and other financial setbacks, and improve well-being dramatically. Although the benefits of wealth are significant, they are not enjoyed uniformly throughout the United States. In the United States, because religion is an important part of cultural orientation, religious beliefs should affect material well-being. This book explores the way religious orientations and beliefs affect Americans' incomes, savings, and net worth. Learn more about Faith and Money at the Cambridge University Press website. The Page 99 Test: Faith and Money. Pg. 69: Rebecca Coleman's "The Kingdom of Childhood"
The current feature at the Page 69 Test: The Kingdom of Childhood by Rebecca Coleman. The Kingdom of Childhood is the story of a boy and a woman: sixteen-year-old Zach Patterson, uprooted and struggling to reconcile his knowledge of his mother's extramarital affair, and Judy McFarland, a kindergarten teacher watching her family unravel before her eyes. Thrown together to organize a fundraiser for their failing private school and bonded by loneliness, they begin an affair that at first thrills, then corrupts each of them. Judy sees in Zach the elements of a young man she loved as a child, but what Zach does not realize is that their relationship is—for Judy—only the latest in a lifetime of disturbing secrets. Rebecca Coleman's manuscript for The Kingdom of Childhood was a semifinalist in the 2010 Amazon Breakthrough Novel Competition. An emotionally tense, chilling work of fiction set in the controversial Waldorf school community, it is equal parts enchanting and unsettling and is sure to be a much-discussed and much-debated novel. Learn more about the book and author at Rebecca Coleman's website and blog. The Page 69 Test: The Kingdom of Childhood. At the Guardian, John Mullan named ten of the best women dressed as men in literature. Out in the wilderness, Don Quixote's friends are looking for the deluded knight. They meet Dorothea, a young woman wearing male clothing. She tells her tragic story – she has been seduced then discarded by a rich man's son and has adopted this disguise in order to flee. Don Quixote was the second most popular book among prisoners at the U.S. base at Guantánamo Bay. It is on John Mullan's list of ten of the best books written in prison. What is David Anthony Durham reading? The current featured contributor at Writers Read: David Anthony Durham, author of Acacia, The Other Lands, and The Sacred Band. The novel on my night table at the moment is Arms of Nemesis, by Steven Saylor. There’s a particular reason for this. My next contracted book is about the Spartacus slave rebellion in ancient Rome. It’s to be a straight historical novel. As part of my research I try to read as much as I can about the period I’m writing in. The bulk of that is non-fiction, but I also enjoy reading novels set in Ancient Rome. A while back I read and enjoyed Saylor’s Roma. That one was a novel made up of linked stories that covered the early history of Rome, from its founding all the way up to the late Republic. It was a departure for him. He usually writes mysteries featuring a Roman Private Investigator named Gordianus the Finder. When I learned that one of those Gordianus novels is set during the Spartacus rebellion I knew I had to take a look. "Durham brings his sci-fi Acacia Trilogy to a satisfying close. Samuel R. Delany meets Cormac McCarthy meets J.R.R. Tolkien as the striking and subtly powerful Corinn Akaran settles into queenship over the Known World just in time to take up arms with the Other Lands.... [Durham] takes time to paint scenes in words that other writers might brush away...and [his] pages are full of thrilling action that would do Tolkien proud. A close, yes—but with wiggle room for more Acacian adventures. At any rate, on the strength of this installment, Durham’s many fans will be clamoring for more." "This triumphant conclusion to the Acacia trilogy vindicates Durham's resurrection of a major character in 2009's The Other Lands. Corinn Akaran, queen of Acacia, used her ever-growing magical powers to revive her brother Aliver to aid her defense of her kingdom. But there are no simple resolutions to the challenges facing Corinn and her siblings, and the gap widens between the means she employs and the ends she pursues. Durham provides a graphic and chilling look at how far Corinn is willing to go to advance her cause as she brutally massacres opposing armies, and that's just the beginning. A smooth plot, Corinn's well-developed character, and Durham's stellar prose and rich imagination will have many traditional fantasy fans hoping for future books set in this turbulent world." Learn more about the book and author at David Anthony Durham's website, blog, and Facebook page. The Page 69 Test: Acacia. The Page 69 Test: The Other Lands. The Page 69 Test: The Sacred Band. Writers Read: David Anthony Durham. Now showing at My Book, The Movie: American Emperor by David O. Stewart. Pg. 99: Ken Ballen's "Terrorists in Love"
This weekend's feature at the Page 99 Test: Terrorists in Love: The Real Lives of Islamic Radicals by Ken Ballen. Imagine a world where a boy's dreams dictate the behavior of warriors in battle; where a young couple's only release from forbidden love is death; where religious extremism, blind hatred, and endemic corruption combine to form a lethal ideology that can hijack a man's life forever. This is the world of Terrorists in Love. Mystical dreams and visions, the demonic figure of the United States, intense sexual repression, crumbling family and tribal structures—the story that emerges here is both shocking and breathtakingly complex. Terrorists in Love introduces us to men like Ahmad Al-Shayea, an Al Qaeda suicide bomber who survives his attack only to become fiercely pro-American; Zeddy, who trains terrorists while being paid by America's ally, the Pakistani Army; and Malik, Taliban leader Mullah Omar's personal seer. Lifting the veil on the mysterious world of Muslim holy warriors, Ballen probes these men's deepest secrets, revealing the motivations behind their deadly missions and delivering a startling new exploration of what drives them to violence and why there is yet an unexpected hope for peace. An extraordinarily gifted listener and storyteller, Ballen takes us where no one has dared to go—deep into the secret heart of Islamic fundamentalism, providing a glimpse at the lives, loves, frustrations, and methods of those whose mission it is to destroy us. The Page 99 Test: Terrorists in Love. In "End the Fed," Congressman Paul argues that the present monetary system under the Federal Reserve is immoral and unnecessary. “The entire federal government is one giant toxic asset at the moment,” he writes. “It certainly has no business telling the private sector how to run its affairs.” He continues later in the book, “"Nothing good can come from the Federal Reserve," Paul writes. It's "immoral, unconstitutional, impractical, promotes bad economics, and undermines liberty." As he’s illustrated throughout his long career, Paul knows how to take an honest and unwavering, if radical, stand. Read about the best written books by a candidate. Pg. 69: Brian Doyle's "Mink River"
The current feature at the Page 69 Test: Mink River by Brian Doyle. Like Dylan Thomas’ Under Milk Wood and Sherwood Anderson’s Winesburg, Ohio, Brian Doyle’s stunning fiction debut brings a town to life through the jumbled lives and braided stories of its people. It’s the tale of a town, written in a distinct and lyrical voice, and readers will close the book more than a little sad to leave the village of Neawanaka, on the wet coast of Oregon, beneath the hills that used to boast the biggest trees in the history of the world. Read more about Mink River at the publisher's website. My Book, The Movie: Doyle's Bin Laden’s Bald Spot. The Page 69 Test: Mink River. What is C. K. Kelly Martin reading? The current featured contributor at Writers Read: C. K. Kelly Martin, author of My Beating Teenage Heart. My Book, The Movie: My Beating Teenage Heart. Writers Read: C. K. Kelly Martin. In 2007 novelist and short story writer Alison MacLeod named her top 10 short stories for the Guardian. Writing a short story is a high-wire act, sentence by sentence, foot by foot. Very few story writers work with the safety net of a plot conceived in advance. They trust in the humming tension of a single opening line or in an image that rises in their mind, or in a fragment of a character's voice. They might have a sense of where they want their characters to go; they rarely know how they'll get them there. At times it's unnerving work. Lose your concentration or the line of tension in the story and both you and it fall. The best short stories have a breathless, in-motion quality to them, a quality that makes them ideal for adaptation into film, as directors are increasingly realising. A great story ending resonates far beyond its final word. It's a hit to the brain. I read stories and love them for that hit. 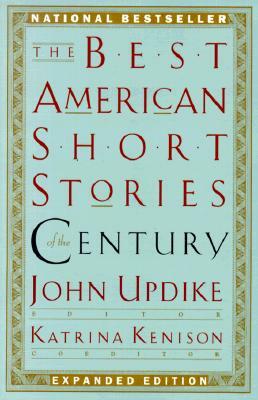 As the writer Elizabeth Taylor commented, the short story gives the reader the feeling of "being lifted into another world, instead of sinking into it, as one does with longer fiction". The best stories leave you exhilarated. While novels are arguably about life's big moments, stories, Munro says, are about "the moments within moments". This is the story of Almeda Roth, a little known Victorian poetess-spinster who lives in a small Canadian town. She resides on the respectable Dufferin Street but her back gate opens onto the edge of a boghole, an area known locally as the Pearl Street Swamp. "Bushy and luxuriant weeds grow there, makeshift shacks have been out up ... " and a woman cries out: 'Kill me! Kill me!' ...Yet there is something taunting and triumphant about her cry." It makes Almeda uncomfortably aware of the narrowness of her own life, one in which she waits to see if Jarvis Poulter will finally deem her to be suitable wife material. The woman of the Pearl Street Swamp is to Almeda what Bertha is to Jane Eyre: her alter ego, her nemesis, but also the agent for Almeda's new, painful insight. The detail of Almeda's home and her inner world are tenderly and sharply observed. Munro's prose is, as usual, translucent - so breathtakingly clear there is nothing between you and the world she creates. Read about another title on MacLeod's list. Pg. 99: James S. Bielo's "Emerging Evangelicals"
The current feature at the Page 99 Test: Emerging Evangelicals: Faith, Modernity, and the Desire for Authenticity by James S. Bielo. The Emerging Church movement developed in the mid-1990s among primarily white, urban, middle-class pastors and laity who were disenchanted with America's conservative Evangelical sub-culture. It is a response to the increasing divide between conservative Evangelicals and concerned critics who strongly oppose what they consider overly slick, corporate, and consumerist versions of faith. A core feature of their response is a challenge to traditional congregational models, often focusing on new church plants and creating networks of related house churches. Drawing on three years of ethnographic fieldwork, James S. Bielo explores the impact of the Emerging Church movement on American Evangelicals. He combines ethnographic analysis with discussions of the movement's history, discursive contours, defining practices, cultural logics, and contentious interactions with conservative Evangelical critics to rethink the boundaries of "Evangelical" as a category. Ultimately, Bielo makes a novel contribution to our understanding of the important changes at work among American Protestants, and illuminates how Emerging Evangelicals interact with the cultural conditions of modernity, late modernity, and visions of "postmodern" Christianity. The Page 99 Test: Emerging Evangelicals. Now showing at My Book, The Movie: Where All the Dead Lie by J.T. Ellison. My Book, The Movie: Where All the Dead Lie. The current featured contributor at Writers Read: Brian Doyle, author of Bin Laden's Bald Spot & Other Stories. Welcome to the peculiar and headlong world of Brian Doyle's fiction, where the odd is happening all the time, reported upon by characters of every sort and stripe. Swirling voices and skeins of story, laughter and rage, ferocious attention to detail and sweeping nuttiness, tears and chortling - these stories will remind readers of the late giant David Foster Wallace, in their straightforward accounts of anything-but-straightforward events; of modern short story pioneer Raymond Carver, a bit, in their blunt, unadorned dialogue; and of Julia Whitty, a bit, in their willingness to believe what is happening, even if it absolutely shouldn't be. ... The barber who shaves the heads of the thugs in Bin Laden's cave tells cheerful stories of life with the preening video-obsessed leader, who has a bald spot shaped just like Iceland. ... A husband gathers all of his wife's previous boyfriends for a long day on a winery-touring bus. ... A teenage boy drives off into the sunset with his troubled sister's small daughters . . . and the loser husband locked in the trunk of the car. ... The late Joseph Kennedy pours out his heart to a golf-course bartender moments before the stroke that silenced him forever. ... A man digging in his garden finds a brand-new baby boy, still alive, and has a chat with the teenage neighbor girl whose son it is. ... A man born on a Greyhound bus eventually buys the entire Greyhound Bus Company and revolutionizes Western civilization. ... A mountainous bishop dies and the counting of the various keys to his house turns . . . tense. ... A man discovers his wife having an affair, takes up running to grapple with his emotions, and discovers everyone else on the road is a cuckold too. My Book, The Movie: Bin Laden’s Bald Spot. Alexandra Fuller has written four books of non-fiction. Her debut book, Don’t Let’s Go to the Dogs Tonight: An African Childhood, was a New York Times Notable Book for 2002, the 2002 Booksense best non-fiction book, a finalist for the Guardian’s First Book Award and the winner of the 2002 Winifred Holtby Memorial Prize. Her 2004 Scribbling the Cat: Travels with an African Soldier won the Ulysses Prize for Art of Reportage. The Legend of Colton H Bryant was a Toronto Globe and Mail Best Non-Fiction Book of 2008. Her latest book is Cocktail Hour Under the Tree of Forgetfulness. 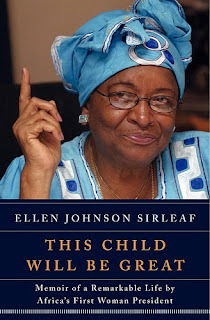 A true story of Sirleaf's ascent from ordinary Liberian child to leader that reads as much like an awful whodunnit on a catastrophically awesome scale, as it does like the memoirs of an ambitious and brave woman. This autobiography from the woman who is Africa's first (and, at present count, only) female head of state, is as inspiring as it is page-turning. 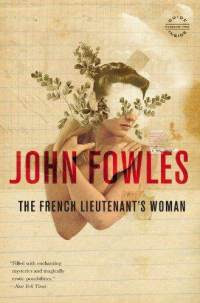 Read about another book on Fuller's list. This Child Will Be Great is on Samantha Herbert's brief reading list on Nobel Prize winners. See Alexandra Fuller's five best list of books that "brilliantly evoke the modern American West." Pg. 99: William G. Thomas's "The Iron Way"
Today's feature at the Page 99 Test: The Iron Way: Railroads, the Civil War, and the Making of Modern America by William G. Thomas. Learn more about The Iron Way at the Yale University Press website, William G. Thomas's blog, and the Railroads and the Making of Modern America website. The Page 99 Test: The Iron Way. Pg. 69: David Anthony Durham's "The Sacred Band"
The current feature at the Page 69 Test: The Sacred Band (Acacia Series #3) by David Anthony Durham. Today's featured contributor at Writers Read: Caroline B. Cooney, author of The Lost Songs. Making Haste From Babylon by Nick Bunker is a fascinating examination of the English world from which the Pilgrims sprang. Don’t be put off by the title. This is a vivid and rich account, covering the geography, economics, politics and of course theology that led a tiny group of ardent Christians to make the terrifying decision to cross the sea in a splinter of a ship and create a New World. Making Haste from Babylon set me on an expedition to learn more. That often happens with nonfiction, when I am so intrigued I need another layer. The day Lutie Painter takes the city bus north instead of the school bus west, cutting class for the first time ever, her aunt and uncle have no idea what she is up to. They cannot prevent her from riding into danger. That same morning, Lutie's pastor, Miss Veola, whispers as always, "This is the day that the Lord hath made. Let us rejoice and be glad in it." A block from Miss Veola and up a hill in Chalk, Train Greene, thin and hungry, burns with anger. He has a decision to make, and he's running out of time. A few miles away, among finer houses, Kelvin Hartley yawns and gets ready for another day at school, where he is a friend to all and makes an effort at nothing. And Doria Bell, who recently moved to the South from Connecticut, walks to the bus stop, hoping the high school kids who live nearby will say hello. All of these lives intertwine and—in surprising ways—become connected to Lutie's ancestors, who are buried in the cemetery in Chalk. Who would have dreamed that the long-dead Mabel Painter, who passed down the Laundry List songs to her great-great-granddaughter Lutie, had passed along a piece of American history that speaks to so many who feel lost and need hope. Big changes are in store for all, and things will never be the same. In this luminous novel, Caroline B. Cooney delves deeply into a Southern community. Cooney reveals the comfort, inspiration, and hope its members draw from the power of faith, the glory of music, and the meaning of family. Learn more about the book and author at Caroline B. Cooney's website. Writers Read: Caroline B. Cooney (January 2010). Writers Read: Caroline B. Cooney. Adam Thorpe is a poet, playwright and novelist...and a translator of Madame Bovary. The indefatigable Robert Chandler is now best known for his masterly translation of Grossman's marathon Life and Fate, but this volume is a superb introduction to the Russian genius for the literary sprint – in all its variation of subject, style and mood. From Gogol and Chekhov to lesser-known figures such as Platonov or the tragic Shalamov, there is always a streak of pain. Pg. 99: Joseph A. McCartin's "Collision Course"
Today's feature at the Page 99 Test: Collision Course: Ronald Reagan, the Air Traffic Controllers, and the Strike that Changed America by Joseph McCartin. In August 1981, the Professional Air Traffic Controllers Organization (PATCO) called an illegal strike. The new president, Ronald Reagan, fired the strikers, establishing a reputation for both decisiveness and hostility to organized labor. As Joseph A. McCartin writes, the strike was the culmination of two decades of escalating conflict between controllers and the government that stemmed from the high-pressure nature of the job and the controllers' inability to negotiate with their employer over vital issues. PATCO's fall not only ushered in a long period of labor decline; it also served as a harbinger of the campaign against public sector unions that now roils American politics. Collision Course sets the strike within a vivid panorama of the rise of the world's busiest air-traffic control system. It begins with an arresting account of the 1960 midair collision over New York that cost 134 lives and exposed the weaknesses of an overburdened system. Through the stories of controllers like Mike Rock and Jack Maher, who were galvanized into action by that disaster and went on to found PATCO, it describes the efforts of those who sought to make the airways safer and fought to win a secure place in the American middle class. It climaxes with the story of Reagan and the controllers, who surprisingly endorsed the Republican on the promise that he would address their grievances. That brief, fateful alliance triggered devastating miscalculations that changed America, forging patterns that still govern the nation's labor politics. Written with an eye for detail and a grasp of the vast consequences of the PATCO conflict for both air travel and America's working class, Collision Course is a stunning achievement. The Page 99 Test: Collision Course. Now showing at My Book, The Movie: Bin Laden’s Bald Spot by Brian Doyle. What is Geoff Hyatt reading? Today's featured contributor at Writers Read: Geoff Hyatt, author of Birch Hills at World’s End. Birch Hills at World’s End begins between Detroit and nowhere, in 1999, when high school senior Josh Reilly senses an apocalypse approaching. Josh's unease increases as his privileged but disturbed friend Erik schemes in a journal he calls "The Doomsday Book," where he plots revenge against the suburbia he's learned to despise. When Lindsay, a sixteen-year-old famed for dramatic self-mutilation and questionable poetry, becomes Josh's girlfriend, Erik finds companionship in a circle of bikers and small-time meth traffickers. Josh, suspecting his friend Erik has become a competitor for Lindsay's affections, peeks into the Doomsday Book and is shocked by what he learns. A web of domestic strife, romantic rivalry, and millennial anxiety challenges two boys to stand together as their youth comes apart. Columbine... Y2K... can friendships survive the end of the world? Learn more about the book and author at Geoff Hyatt's website, and read an excerpt from Birch Hills at World’s End. Juliet Davenport is chief executive of Good Energy, the UK's only 100% renewable electricity supplier. Your first choice is Solar by Ian McEwan, which sets out to put the issues of climate change in more of an everyday setting through a novel. I met Ian McEwan as part of the Cape Farewell programme. That is an organisation set up by a lovely man called David Buckland, who is a photographer and an artist. He wanted to create a social response to climate change. In other words, he wanted to get people like Ian McEwan to mix with the scientists and find out more about what is going on. So he took a lot of people – including Ian McEwan, Philip Pullman and Jarvis Cocker – to the North Pole along with some scientists, so they could see what was going on for themselves. Ian took what he saw and put it in a novel. He wanted to put some big scientific ideas into everyday language. So much of our world revolves around creative media. We watch television, we watch films and it is very much part of our society. David Buckland wanted to make climate change part of that dialogue. A lot of people find it very difficult to write about climate change because it is not something that lends itself to comic effect, and it is not something that people often want to write about, but Ian managed to. What did you think of the actual novel, because it has had mixed reviews? I thought it was very funny. It was an interesting take on the perceptions of some of the big issues between society and scientists, and the fact that we as a society don’t really understand what scientists are doing. Scientists are these objects that go around winning Nobel prizes, but actually not many of us really appreciate that they are human beings as well. In Ian’s book you have the physicist Michael Beard, who was brilliant once, won a Nobel prize earlier in his career and has been cruising ever since. Quite often a scientist makes a brilliant discovery and then you become part of a government and funding system where you stop being a scientist. It is a little bit like teachers, who when they progress get further and further away from the classroom. The novel starts when Michael Beard has lost his scientific thread, and there is this rather bizarre death at the beginning when someone falls over and kills himself in his house. Then he steals a science idea from the dead man, and the rest of the book is an unravelling of the personality of the professor and this solar technology idea that he has stolen. Part of the book is set in the Arctic, where Ian went with Cape Farewell. It all has Ian McEwan’s humour. Pg. 99: David Welky's "The Thousand-Year Flood"
Today's feature at the Page 99 Test: The Thousand-Year Flood: The Ohio-Mississippi Disaster of 1937 by David Welky. Timed to coincide with the flood's seventy-fifth anniversary, The Thousand-Year Flood is the first comprehensive history of one of the most destructive disasters in American history. David Welky first shows how decades of settlement put Ohio valley farms and towns at risk and how politicians and planners repeatedly ignored the dangers. Then he tells the gripping story of the river's inexorable rise: residents fled to refugee camps and higher ground, towns imposed martial law, prisoners rioted, Red Cross nurses endured terrifying conditions, and FDR dispatched thousands of relief workers. In a landscape fraught with dangers—from unmoored gas tanks that became floating bombs to powerful currents of filthy floodwaters that swept away whole towns—people hastily raised sandbag barricades, piled into overloaded rowboats, and marveled at water that stretched as far as the eye could see. In the flood's aftermath, Welky explains, New Deal reformers, utopian dreamers, and hard-pressed locals restructured not only the flood-stricken valleys, but also the nation's relationship with its waterways, changes that continue to affect life along the rivers to this day. Learn more about The Thousand-Year Flood at the University of Chicago Press website. Pg. 69: Dean Crawford's "Covenant"
The current feature at the Page 69 Test: Covenant by Dean Crawford. IT'S THE BIGGEST DISCOVERY IN HISTORY ... BUT THERE ARE SOME THINGS MAN WAS NEVER MEANT TO KNOW. When archaeologist Lucy Morgan uncovers a seven-thousand-year-old tomb holding remains alien to our world, she realizes she has stumbled upon something important—something with the potential to rewrite history. But before Lucy can retrieve the remains, she's abducted. A former war correspondent in Iraq and Afghanistan, Ethan Warner has seen much action in the line of fire. Now back home in Chicago, he's hoping to finally pick up the pieces of his broken life and begin to lead a more normal existence. But when called upon by Lucy's family to help find her, he knows he cannot let them down. Especially since he knows firsthand what it's like to have a loved one go missing. Meanwhile, in Washington, D.C., detectives Nicola Lopez and Lucas Tyrell are called to an abandoned building to check out a possible homicide. What at first glance appears to be the bodies of overdose victims in a crack den is instead something more sinister. How is it possible that these emaciated, naked bodies—rotting in the sweltering heat of August—show signs of hypothermia? Working independently, Ethan and the detectives each discover that a shadowy corporation may have something to do with Lucy's disappearance and the mysterious bodies. And Ethan soon realizes that it's not just Lucy's life that's at stake but the fate of the world, and he must risk everything to stop those willing to alter the course of history, before it's too late. In the tradition of books by Michael Crichton and James Rollins, Covenant combines science, suspense, and ingenious speculation to create an action-packed blockbuster not to be missed. My Book, The Movie: Covenant. The Page 69 Test: Covenant. The current featured contributor at Writers Read: Todd Ritter, author of Death Notice and Bad Moon. When it comes to books, I’m not usually a double-dipper. I wait until I finish one to start another. Yet there are two books out right now that I so desperately wanted to begin that I couldn’t choose which one to start first. So I’m reading both of them — and loving it. The haunting story of a boy missing for forty years, and of a small town that found lies easier to believe than the truth, explodes into the present in Bad Moon, Todd Ritter’s excellent follow-up to his acclaimed debut. Learn more about the book and author at Todd Ritter's website. Writers Read: Todd Ritter (October 2010). The Page 69 Test: Todd Ritter's Death Notice. My Book, The Movie: Death Notice. Richard Overy's books include 1939: Countdown to War. Alexander Rossino's grim account of the German invasion of Poland and of the horrors perpetrated almost immediately by the German armed forces and security units shows how fully Hitler's war, even in its earliest days in 1939, differed from previous European wars. Brutal ethnic tension in the Polish-German borderlands created a febrile atmosphere in the months before the war. Poles reacted to German invasion by perpetrating atrocities of their own against Polish Germans, and the German invaders were no less savage. 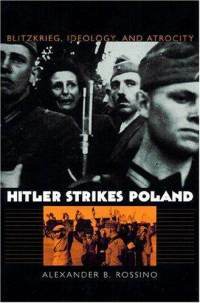 Rossino offers a detailed, blow-by-blow account of how resentful German nationalism was used to justify the slaughter of Polish intellectuals, the Polish national elite and Polish Jews, well before the death camps were established. Much of the work was done by Hitler's Einsatzgruppen, security squads assigned not to fight but to murder suspected enemies of the new German Reich. Within days of the invasion, the Germans were already engaged in what came to be known in 1945 as crimes against humanity. Read about another book on Overy's list. Pg. 99: Teofilo Ruiz's "The Terror of History"
Today's feature at the Page 99 Test: The Terror of History: On the Uncertainties of Life in Western Civilization by Teofilo F. Ruiz. The Page 99 Test: The Terror of History. Now showing at My Book, The Movie: Covenant by Dean Crawford. What is Mike Mullin reading? The current featured contributor at Writers Read: Mike Mullin, author of Ashfall. At the Guardian, John Mullan named ten of the best cliffs in literature. Charles Smithson has come to the Dorset coast to look for fossils, but instead becomes obsessed with the woman of the novel's title, Sarah Woodruff. He encounters her on the undercliff above Lyme Regis, lying among the tangled plants "in the complete abandonment of deep sleep". He is hooked. Pg. 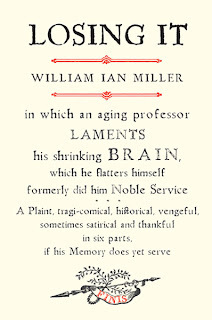 99: William Ian Miller's "Losing It"
Today's feature at the Page 99 Test: Losing It by William Ian Miller. 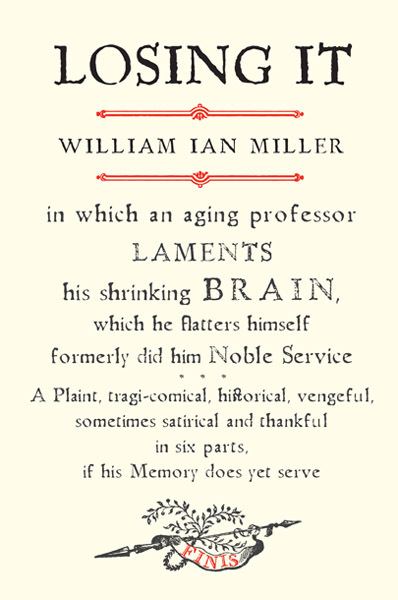 In Losing It, William Ian Miller brings his inimitable wit and learning to the subject of growing old: too old to matter, of either rightly losing your confidence or wrongly maintaining it, culpably refusing to face the fact that you are losing it. The “it” in Miller’s “losing it” refers mainly to mental faculties—memory, processing speed, sensory acuity, the capacity to focus. But it includes other evidence as well—sags and flaccidities, aches and pains, failing joints and organs. What are we to make of these tell-tale signs? Does growing old gracefully mean more than simply refusing unseemly cosmetic surgeries? How do we face decline and the final drawing of the blinds? Will we know if and when we have lingered too long? Drawing on a lifetime of deep study and anxious observation, Miller enlists the wisdom of the ancients to confront these vexed questions head on. Debunking the glossy new image of old age that has accompanied the graying of the Baby Boomers, he conjures a lost world of aging rituals—complaints, taking to bed, resentments of one’s heirs, schemes for taking it with you or settling up accounts and scores—to remind us of the ongoing dilemmas of old age. Darkly intelligent and sublimely written, this exhilarating and eccentric book will raise the spirits of readers, young and old. The Page 99 Test: Losing It. Pg. 69: J. T. Ellison's "Where All the Dead Lie"
Today's feature at the Page 69 Test: Where All the Dead Lie by J. T. Ellison. In her showdown with the murderous Pretender, a bullet taken at close range severed the connection between Taylor's thoughts and speech. Effectively mute, there's no telling if her voice will ever come back. Trapped in silence, she is surrounded by ghosts—of the past, of friendships and trusts lost...of a lost faith in herself and her motives that night. When Memphis Highsmythe offers Taylor his home in the Scottish Highlands to recuperate, her fiancé can't refuse her excitement, no matter his distrust of the man. At first, Memphis's drafty and singularly romantic castle seems the perfect place for healing. But shortly the house itself surrounds her like a menacing presence. As Taylor's sense of isolation and vulnerability grows, so, too, does her grip on reality. Someone or something is coming after Taylor. But is she being haunted by the dead…or hunted by the living? Chris Bohjalian latest novel, The Night Strangers, is a ghost story that begins with a plane crash. If you want an accident with a happy ending, there is US Airways Flight 1549, the "Miracle on the Hudson." 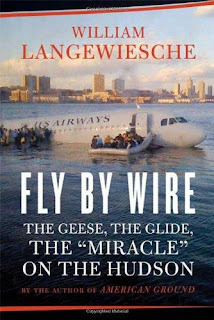 Fly by Wire chronicles the January 2009 ditching, focusing on the role that the Airbus's technology may have played in the remarkable water landing. Equally gripping, however, are the stories of flight emergencies that did not end so well. Pg. 99: Robert Frank's "The Darwin Economy"
What is Dean Crawford reading? Pg. 69: Doug Magee's "Darkness All Around"
Pg. 99: Steven Nadler's "A Book Forged in Hell"
Pg. 99: Denise Gigante's "The Keats Brothers"
Pg. 69: Jeri Westerson's "Troubled Bones"
What is Doug Magee reading? Pg. 99: Jean-Vincent Blanchard's "Éminence"
Pg. 69: Tracy Kiely's "Murder Most Persuasive"
What is Stephen Wetta reading? Pg. 69: Alma Katsu's "The Taker"
Pg. 99: Richard Noll's "American Madness"
What is Lauren McLaughlin reading? Pg. 99: Philip Kitcher's "The Ethical Project"
What is Alma Katsu reading? Pg. 99: Dava Sobel's "A More Perfect Heaven"
What is Jacques Strauss reading? Pg. 99: Peter Van Buren's "We Meant Well"
Pg. 69: D.E. Johnson's "Motor City Shakedown"
Pg. 69: Lisa Black's "Defensive Wounds"
Pg. 99: Sylvia Longmire's "Cartel"
What is Jean-Vincent Blanchard reading? Pg. 99: David King's "Death in the City of Light"
Pg. 69: Richard Doetsch's "Half-Past Dawn"
What is Mark de Castrique reading? What is Ann Hite reading? Pg. 99: Graham Jones's "Trade of the Tricks"
What is Ned Beauman reading?